Named one of the fastest growing churches multiple years in a row, with over 10,000 in regular attendance across 6 campuses, Elevation is reaching the greater Charlotte area and touching lives in those communities. 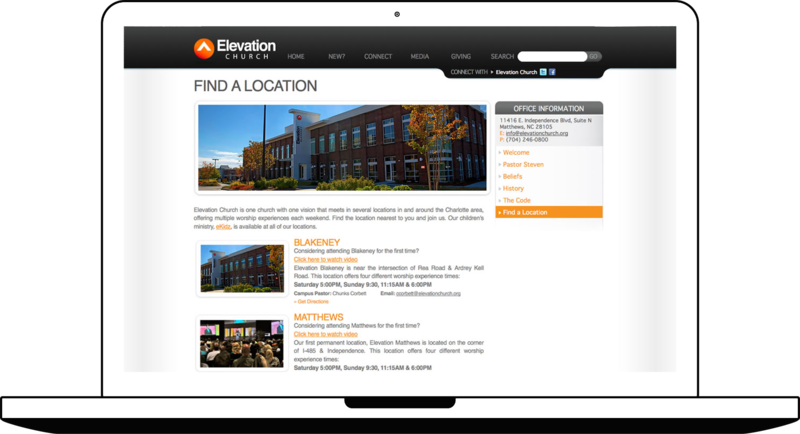 I worked for Elevation for 3 years, building multiple websites for internal and external purposes. 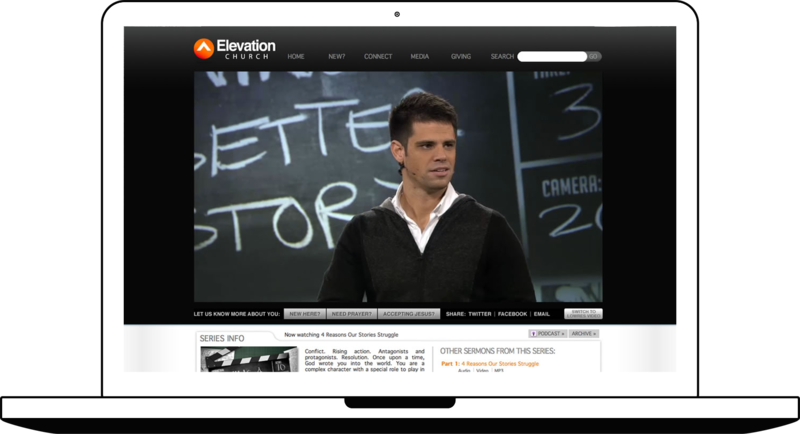 Managing sermons, page content, updates and more is a breeze through this custom website built on the CodeIgniter framework. 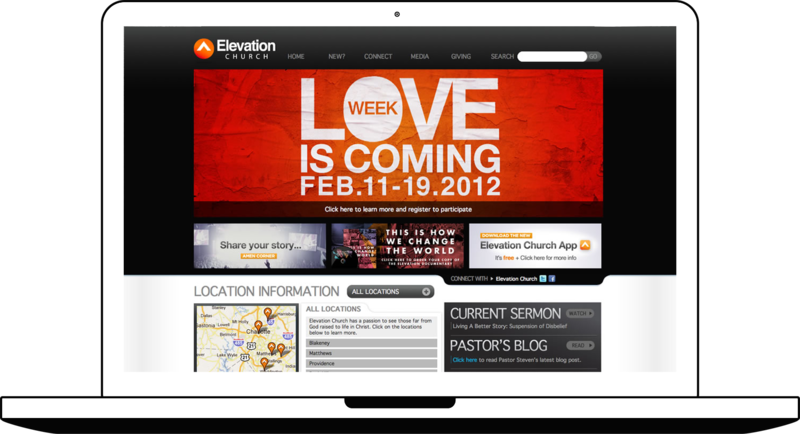 Since I left, Elevation has updated their website. Their digital team has done a fantastic job on their latest version. Take a look.